From small scale and prototyping to large scale production runs, we manufacture a variety of products utilizing compression molding and other techniques to meet your specifications. Our design & production teams have the knowledge necessary to assist each individual customer in getting the end product they need. We use electronic data, molds and secondary tooling along with in-process gauging to make sure each part is manufactured to customer satisfaction. Quality is of primary importance with high-priority placed on taking steps to ensure consistency and accuracy on every shipment. Lean manufacturing and continuous improvement are used to reduce waste, hold down cost, increase quality and meet timely delivery schedules. 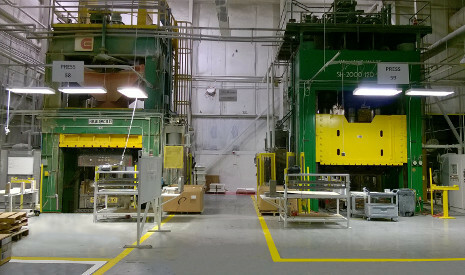 Our molding equipment line-up includes 19 compression molding presses ranging from 400 to 4400 tons at our Grabill, IN plant, and 10 presses ranging from 1000 to 2500 tons located in Shelbyville, IN. Our press bed sizes range from 42" x 67" up to 144" x 144". Added to this are three infra-red ovens used for GMT processing. Using compression molding techniques, we produce parts using thermoset and thermoplastic materials to produce parts with high mechanical strength. Using fiberglass reinforced or other composite materials, we produce the part to meet your unique application. With one of the largest presses in the US we can produce your large part in one piece. We have the tonnage capability for specialized applications. 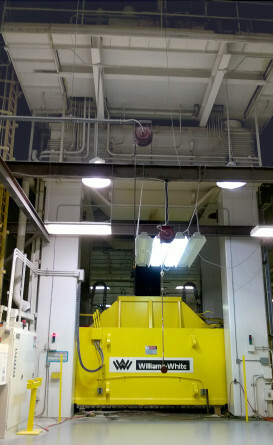 Our large press bed measures 144" x 144" and provides 4400 tons of clamping force. We are one of only a few in the entire US with this capability. SMC or Sheet Molding Compound manufacturing is a process whereby we are able to produce your part with a superior finish and high structural integrity. The SMC material is manufactured using state of the art equipment. It is produced in sheet form which allows glass fibers of greater length to be used giving it high strength and superior physical qualities. We produce automotive and heavy truck parts utilizing composite materials. We also specialize in using dual composite material types in one mold to give different sections of your part unique structural qualities. R3 Composites is a family owned business committed to providing quality products at competitive prices. When you choose R3 Composites, you are getting more than a parts vendor - you are choosing a manufacturing partner. We add value to the relationship by working with you every step of the way to make sure that every part meets or exceeds quality standards. This gives you confidence that your end product will consistently meet your expectations. 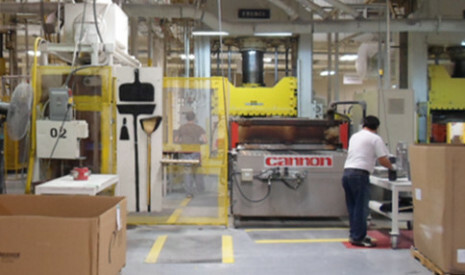 R3 has also expanded into manufacturing operations at its wholly owned subsidiary Carver Non-Woven Technologies. Here we make non-wovens with new industry processes creating breakthrough materials with superior engineering qualities, including our own Carver Technilite. Call our sales team to learn more.